Want to know how to choose kitchen cabinets, which will look super stylish and be oh-so practical? Let’s not forget that the units you choose will need to suit your budget, too. Don’t stress, just stay tuned as we deliver the ultimate guide so you can choose your kitchen cabinets with ease. Let’s face it, if any of you have already undergone a big kitchen project, you’ll know that when you choose kitchen cabinets, this is probably one of the most important decisions you’ll make. After all, your kitchen furniture will dictate the look of the room and and this choice is likely to use half of your budget. So, it’s important to consider just how you want to use your kitchen. Will this space be open-plan? 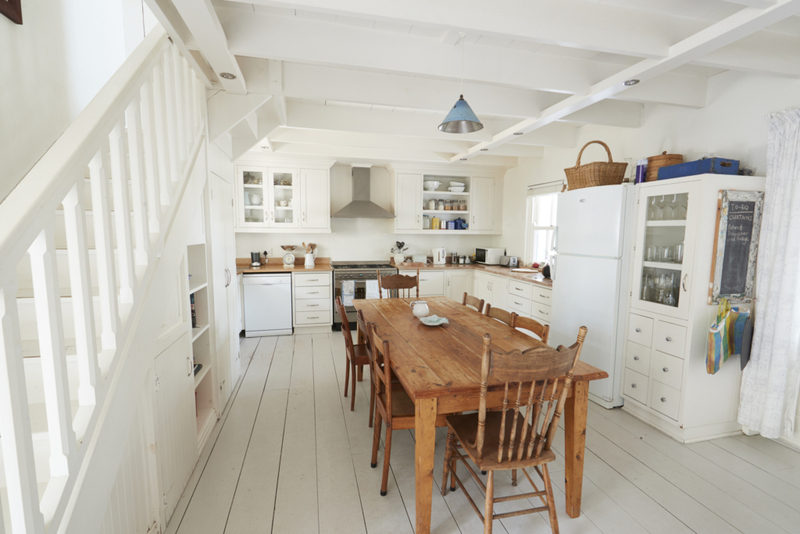 Are you happy with the amount of storage in your current kitchen? How long do you plan on living in your home? 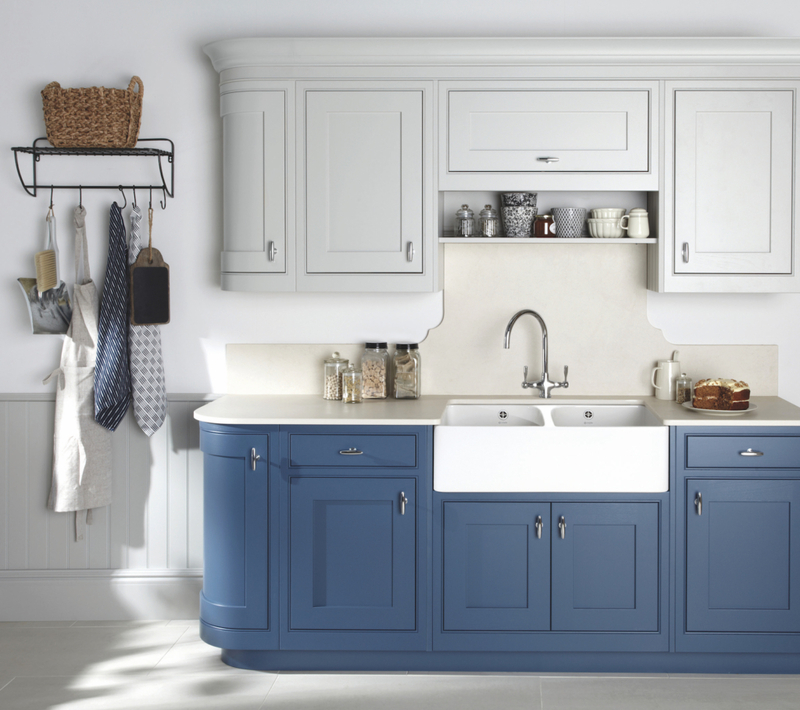 When you choose your kitchen cabinets, do you have a favourite style? Is durability more important than aesthetics? Consider how much you want to spend on kitchen cabinets and this should help you make your choice. If you’re looking for a kitchen which will last ten years or so till you move to another home, this should affect your decision. However, if you’re in your forever home, you’ll be looking for cabinets which will look pristine for years to come. Either way, budget will be key and this could affect your decision when you choose kitchen carcase materials. Should I choose kitchen cabinet ranges or bespoke? The answer to this question tends to come down to budget. If you’re just replacing a kitchen in an existing space, why not splash the cash and invest in a luxury, bespoke kitchen. Plain English happens to be one of our favourite bespoke brands. However, if you’re looking at extensive building works to achieve your goal, your best move will be to choose kitchen cabinets from a brand with an existing range. 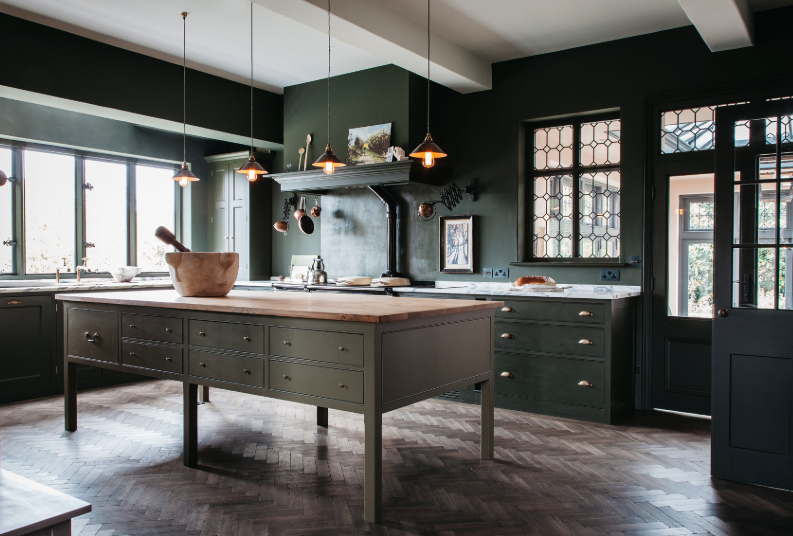 You can still put your personal stamp on your design by choosing your preferred colours, the position of your units and your preference in handles and worktops. When it comes to materials, melamine-faced chipboard (MFC), for example, is exactly what you would expect on an entry-level kitchen. It’s durable but less expensive than other types. Meanwhile, medium density fibreboard (MDF) is slightly stronger and denser with a more moisture-resistant edge. Timber-faced MDF is next in line in terms of cost as this gives the appearance of real wood with a veneer which matches the doors. Solid timber and plywood are other choices, which come with higher price tags. Plywood is a favourite among bespoke cabinet makers as it’s real wood, where narrow staves of wood are jointed together to make multi-stave boards. 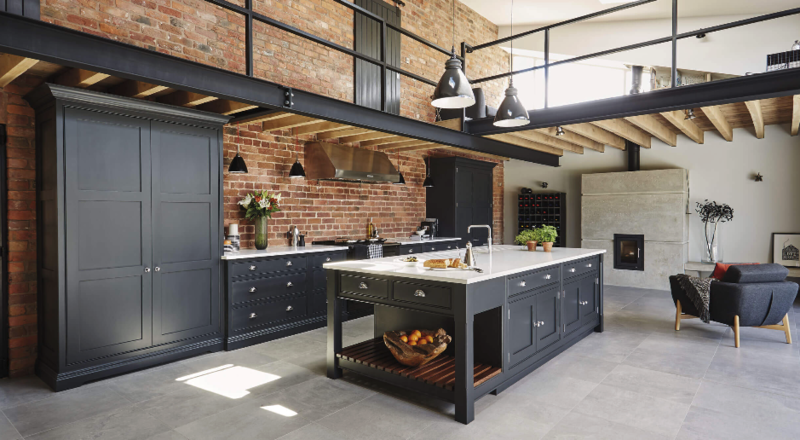 We adore this Industrial-style Shaker kitchen from bespoke furniture maker Tom Howley – the exposed brick in this room completes the look perfectly. If you choose flat-pack, these will be less expensive than rigid carcases. The latter is without doubt structurally superior and you’ll find these are easier to fit, too. In addition, this means your kitchen will be assembled in a factory first which will essentially speed up the fitting process for you. Flat-pack furniture on the other hand can take time to assemble and you may find parts are missing, which will delay your fitting. If you’ve got longevity in mind, you may prefer to stick to a timeless style. We all love Shaker-style doors in our studio – they’ll stand the test of time and you can create your own finish depending on the colour you choose. In fact, I’ve chosen in-frame Harptree cabinets from Caple for our open-plan kitchen diner living space. In a cool, navy and pale cotton finish, think you’ll agree these look absolutely gorgeous. You can order from a vast selection of cabinet sizes and curved and concave doors to suit your needs. All the doors come with soft-close hinges and runners too. It has been an absolute blessing to choose kitchen cabinets, which come with beautiful dovetail drawer boxes, from an actual range too. 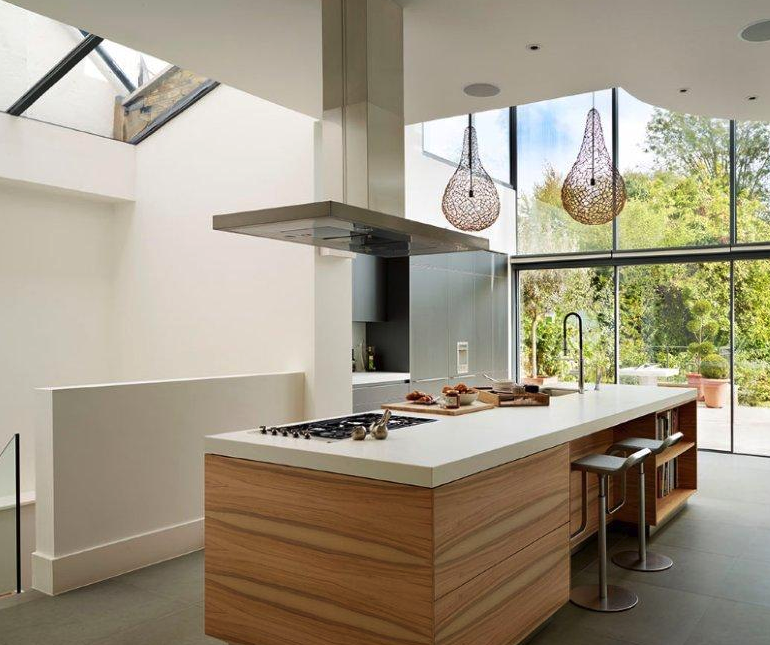 After all, this is what you would expect from a truly bespoke kitchen. Anyway, we’ve literally just ordered them so just need to wait six weeks for the cabinets to be designed and delivered. How exciting! If modern’s your thing, a smooth canvas is a must on your kitchen doors. Choose from high gloss for extra bling, which will also bounce plenty of light around the room or matt for low maintenance and a more subtle finish. You’ll benefit from clean lines in your kitchen with flush doors and this will instantly create a more minimalist finish. This style can work so well in an open-plan scheme if you’re looking for cabinets, which will create a seamless flow from your kitchen to the living area. For modern kitchen design look no further than Bulthaup, pictured here in a gorgeous Kitchen Architecture design. 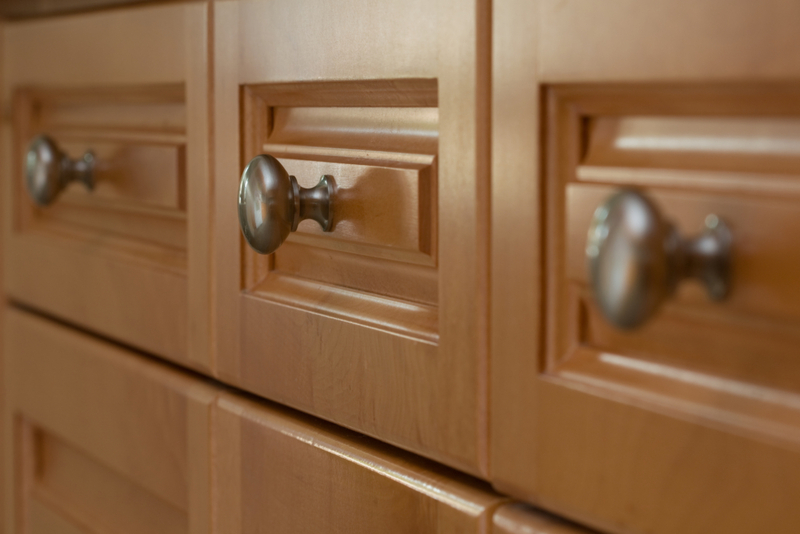 Believe it or not, the handles you can choose could potentially make or break your kitchen cabinets. You can even choose a handleless design which works well in a modern kitchen. Styles vary from bar and knobs to decorative. I’ve chosen pewter knobs for our classic Caple kitchen, which we know will complement our cabinets for a timeless, beautiful finish. Don’t forget internal storage solutions if your budget will allow. Think corner carousel baskets and pull-out swing larders. And if you’re looking for a quiet life, add soft-close hinges and drawers runners into the mix so banging doors will be a thing of the past. 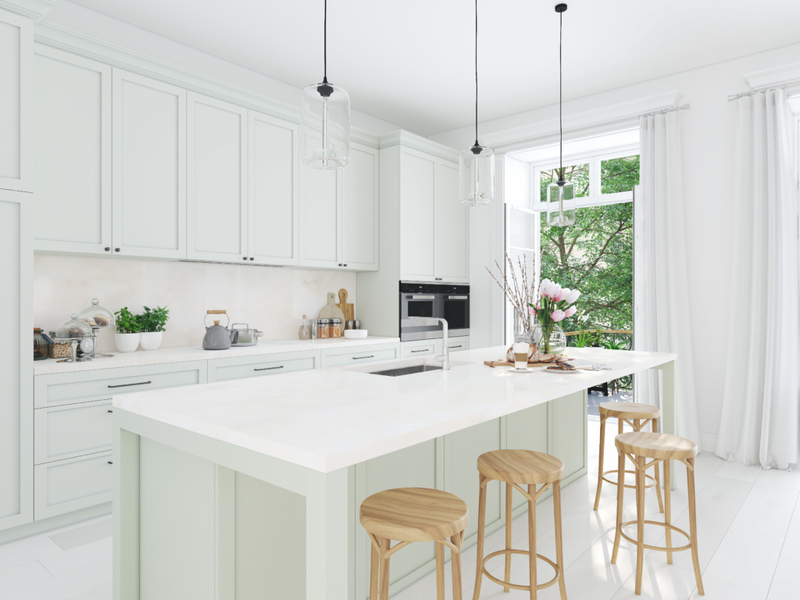 If you’re undergoing a kitchen renovation project but you’ve haven’t yet reached this stage, why not read our blog post on How to choose a kitchen design?